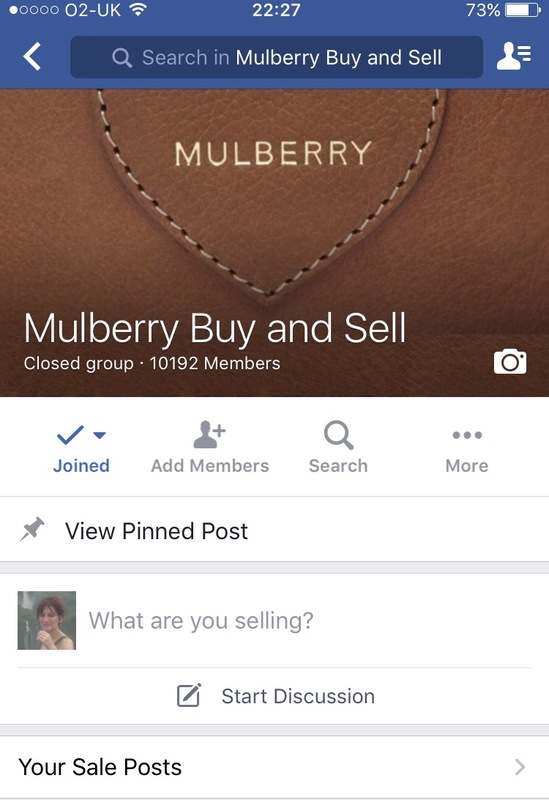 If you know my blog, you are probably a member of at least one of the Mulberry selling groups on Facebook - or maybe, like me, of all of them? I love them all, they all have their own personality and style and provide different points of views. 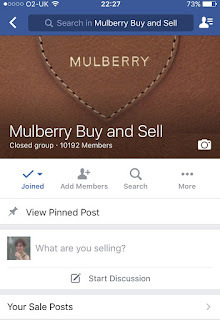 After having been a member of Mulberry Buy and Sell for around a year, Esme (who founded the page) and Victoria asked me to join their admin team. I've now been part of that team for few weeks, the group has grown to over 10,000 members and I thought I'd talk to not just our members but any members of a buying/selling page. 1. Read the Pinned Post. Make sure you're familiar with the rules around buying, selling and generally using the page. You ask why?! Find out here! Whilst you need to make sure you show and declare all your bag's flaws, you want to sell it - so make it look good! Some top tips here! Price it too high and it simply won't sell; too low and you will lose out. Some pointers here. Check in the pinned post you you should show the price. Usually it's an 'all in' price, so make sure you include Paypal fees and postal charges. A quick guide on how to calculate here. 5. Have your Paypal ready. Paypal is usually the only acceptable payment method on these pages - so if you want to buy or sell: have your account ready. 6. Be around after you post. Try to be around when your post gets approved as people might comment - and be happy to answer questions. 7. Be nice to admin. Pretty easy. They want a simple life. Follow the rules, be friendly and patient (yes, that includes, no constant "why hasn't my post been approved yet" messages) and you will find they will help you where ever they can. Annoy them at your own peril. Are you a member of any of the groups?